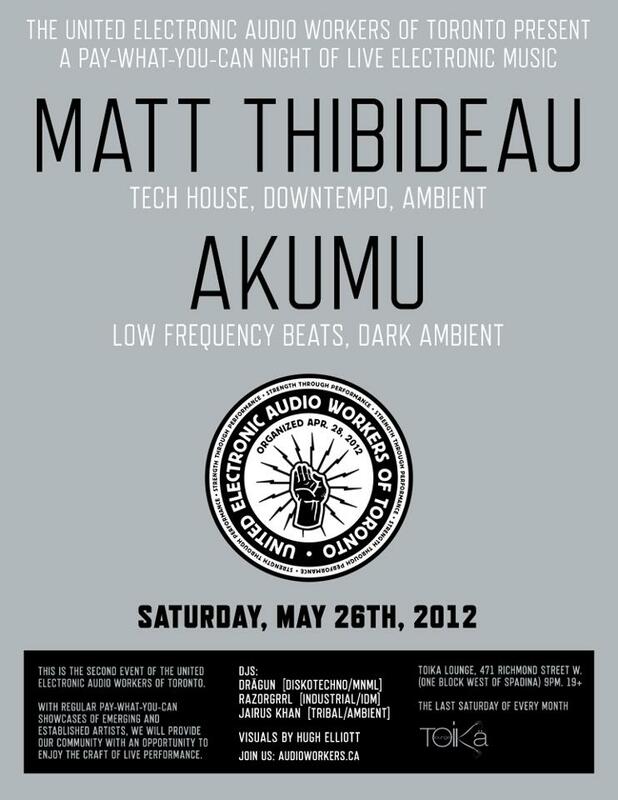 Join us Saturday, May 26th in Toronto at Toika Lounge (471 Richmond Street West) for an evening of Electronic Music! 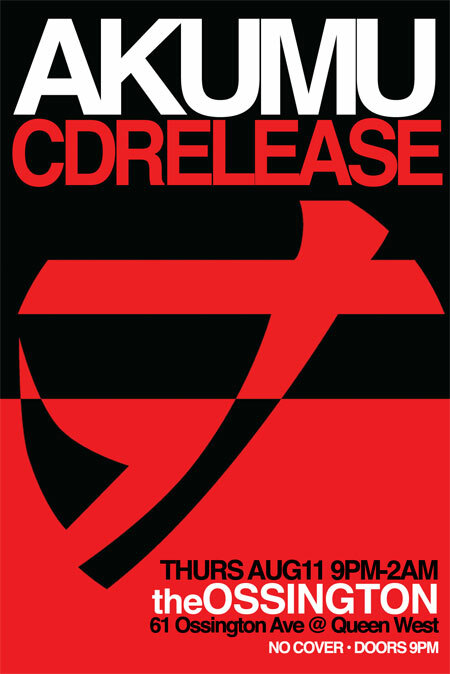 This is the second event of the United Electronic Audio Workers of Toronto and is a pay-what-you-want event in support of electronic artists. 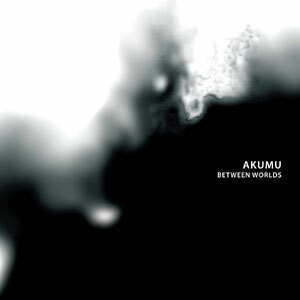 Come help celebrate the release of Akumu’s new full-length CD / DVD “Between Worlds” at the Ossington in Toronto! 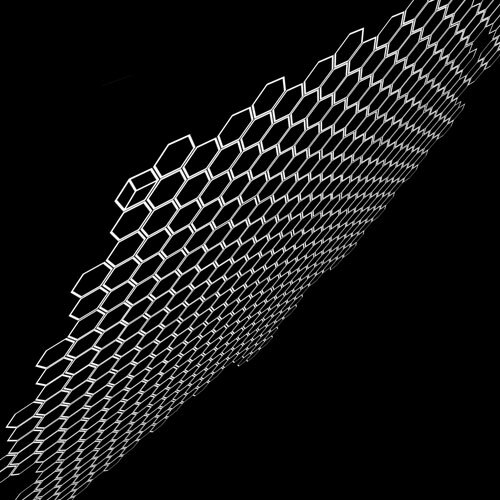 We’re opening up both rooms, with DJs and visuals in the front and live performances in the back. Hey! 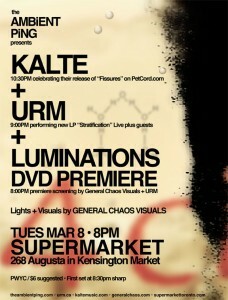 Just letting you know that Kalte (my ambient side-project with rik maclean) is playing live this Tuesday March 8 at SuperMarket as part of the The Ambient Ping Series. Hello Montreal friends and fans! 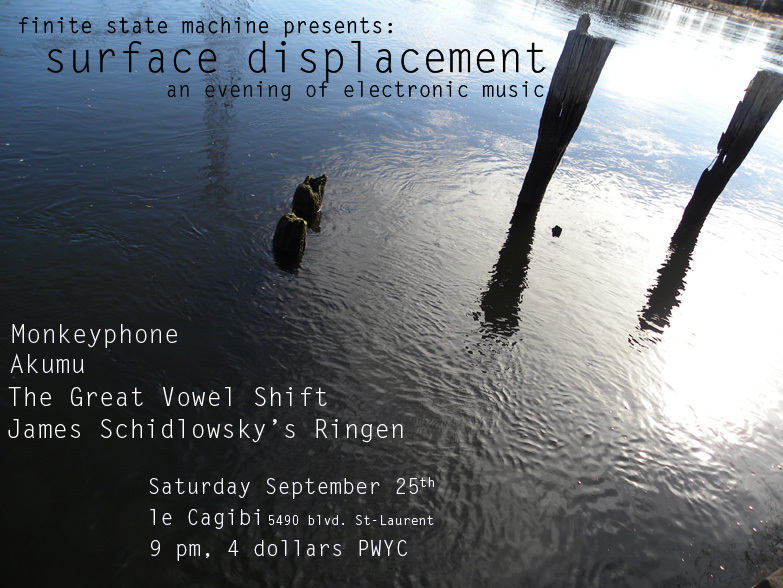 Akumu will be performing new dark and doomy material next Saturday, Sept 25th at Le Cagibi in Montreal! 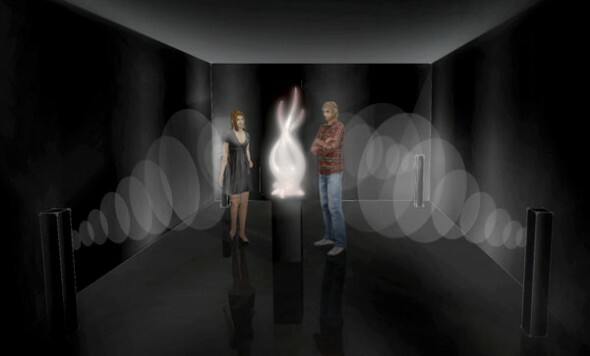 le Cagibi, 5490 St-Laurent blvd. 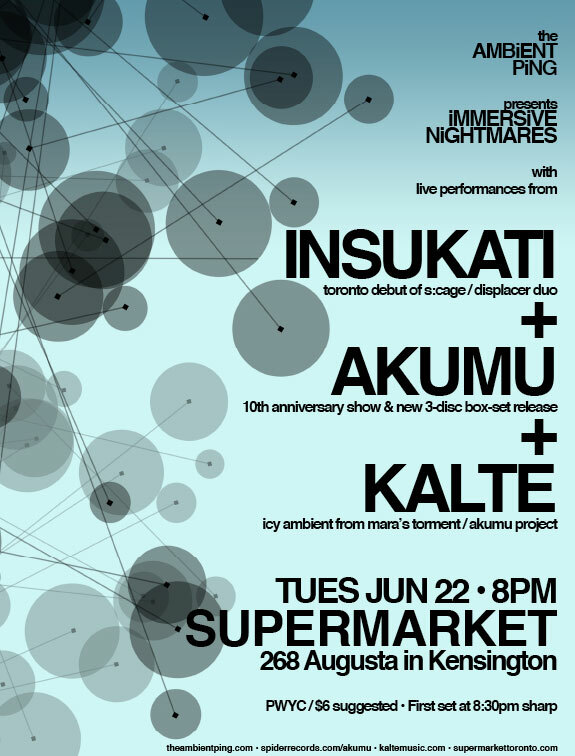 I’m very happy to announce that Akumu is performing live on Tuesday, June 22 at SUPERMARKET, Toronto with Insukati and Kalte as part of the Ambient Ping series. 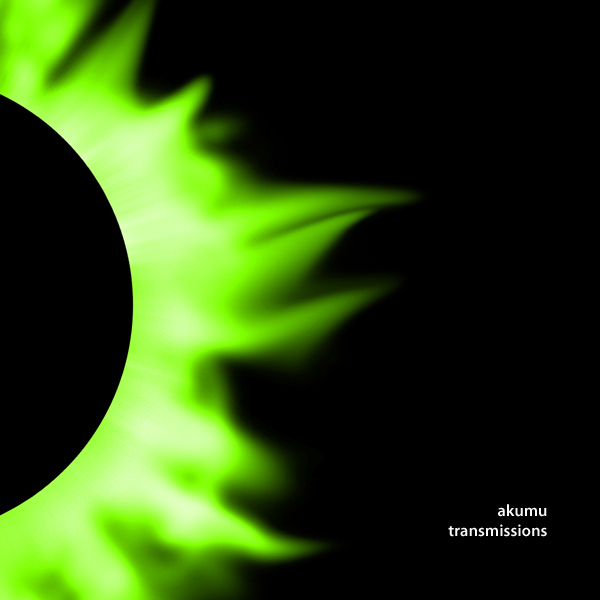 This show will commemorate Akumu’s 10 years of playing live and to celebrate, the new 3-disc Box-set will be available for the first time!